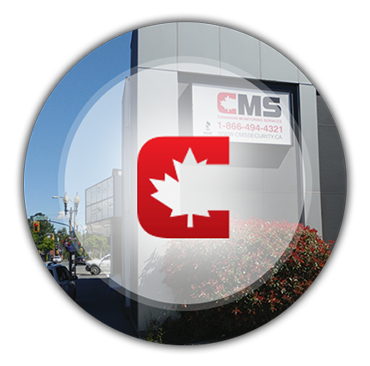 Locally owned and operated, Canadian Monitoring Services provides service across the Lower Mainland and Fraser Valley. With over 25 years combined experience, our knowledgeable staff and technicians are able to find a security solution for your home or business. Our national monitoring center located in Burnaby, B.C. is 1 of 5 stations across Canada, that is fully certified and equipped with the industries leading technology. We offer you service you can count on, at a price you can afford. CMS Security is government licensed and fully insured.